John Witherspoon Bald, born April 7, 1868 Parsonstown, Ireland – died 1961. He began his photographic business first in Penetanguishene. In 1896 he purchased a studio in Midland on King Street. Bald’s photographic career began shortly after the introduction of gelatine dry plate photography. This type of plate was commercially prepared and could be stored prior to exposure. This was a major improvement over the earlier collodion wet plates, improving the process and freeing photographers to take photographs practically anywhere. 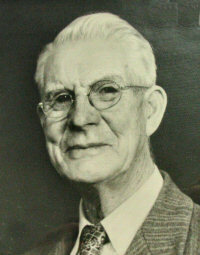 Bald recorded life in his community from 1890 until 1953 when he retired. He made portraits, landscape and other commercial photographs. He worked for both Midland newspapers, the Free Press and the Argus. He developed an extensive post card business. Bald’s work is a complete record of the life, work and play of small town Ontario. Business, ships, harbour life, industries, social life, hunting, tourism, sports, portraits, all subjects found in his work. 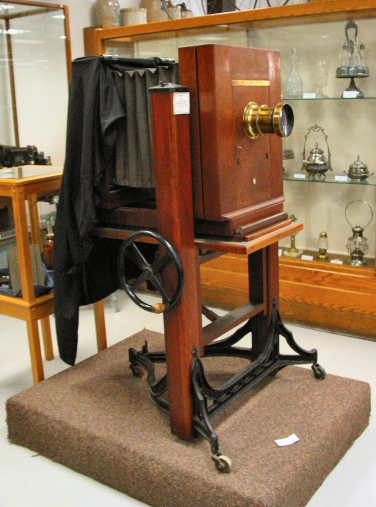 The Huroria Museum has an extensive collection of Bald’s photographs, postcards, and equipment. I have 4 old pictures taken by John W Bald,and they are related to me but I don,t know who is who. I amhoping someone could kindly help me with my task! Iwould be glad to come to the museum to see if i could show them to someone. Hoping to hear back, your truly Donna McLean. Asmy relatives are from Midland Harriet johnston and aRegianld earl burns white .hie father was William , but that all I know! Hi…Can you send the images with any names that might be associated with the pictures? This will help identification. His smiling face looks regards us …beyond the grave…challenging us to revive his ART. Across the years JW worked tirelessly to record the daily lives of Georgian Bay residents, their families,their work,their buildings, their public monuments. We owe it to him to recollect his work and to introduce it to a new generation. Evermore, it is important to tell the stories again, to show the images, to reveal his ART. This generation is a visual generation that wants to appropriate information in an immediate way. This was JW’s strength…he was a visual artist of consumate skill that captured the day to day, that had a dialogue with his subjects that few have. Email address is renehackstetter@sympatico.ca If you can send the pics, I will try to identify. Thanks this closes the loop. I have a number of pictures taken by JW Bald of the Chew family of Midland – they must have been one of his frist customers in Midland as they date from 1898 period. Can you send the images? I would love to see them. in with a ton of ww2 photographs. The problem is i cant find anything like them anyplace on the internet! It is very frustrating. And that leads me to think that they are fakes or very rare because they dont look fake to me although im not an expert. J.W. Bald was my great uncle (he was my father’s father’s brother). We lived in Sudbury and only visited him occasionally but I do remember going to his residence once and sitting in his back yard. It was glorious with a well-manicured lawn and some sort of tree or shrub with big white clusters of flowers that looked like snowballs. I was 7 years old or younger, but I remember his thick, white hair shining in the sunlight. I will never forget seeing him in his backyard. I went to England recently and visited Regent’s Park several times, which reminded me of my great uncle’s backyard, although it was much, much bigger and had a large variety of flowers, shrubs and trees. But it made me think that my great uncle was maybe trying to create a small bit of the British Isles in Penetanguishene. J.W.Bald is my biological great grandfather – My grandmother being Margaret –I have the original letters sent from Margaret to the adoptive mother of my father -who passed on February 29th 2012. He was born July 16th 1930 in London Ontarion Canada. Margret gave up my father with a heavy heart in the hopes that he would receive a good life. I can only imagine how hard that must have been for her. I did meet my great uncle Stewart once – but not my grandmother. This information may come as a surprise to any – But we live in different times now and I believe it is okay to say. Would like to know more about my biological family – What my grandmother was like – her life -her personality- The “adoption papers” were but a mere signed letter givning up any rights to my father , although correspondence between the two “moms” did continue for at least ten years. I do have those letters in my possession. So Marhatet was his daughter? Hello I am the niece of Margaret Bald Newton. She was married to my Mother’s brother Ray and they lived in Midland I knew J W Bald and his sister Aunt Beba fairly well in the 50’s – also Stewart and Florida who lived in the same building as Aunt Marg. I don’t know what information you are looking for. Thank you for your interest Maureen, we are always looking for Bald photos that are not already in the public domain, any documentation regarding his personal life and his business enterprises. We have published a small soft cover book on J.W.’s life, available in our store. Is it possible to get a copy of this book online? Or through the mail?